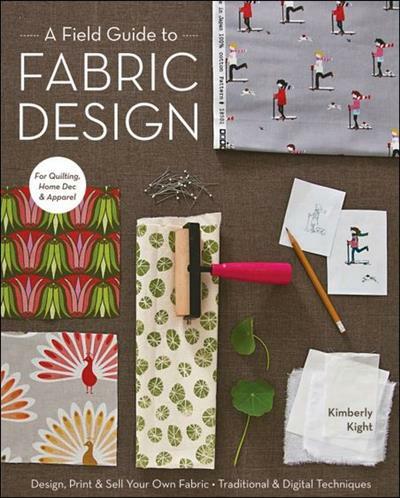 Kim Kight, "A Field Guide to Fabric Design: Design, Print & Sell Your Own Fabric; Traditional & Digital Techniques; For Quilting, Home Dec & Apparel" | Free eBooks Download - EBOOKEE! Kim Kight, "A Field Guide to Fabric Design: Design, Print & Sell Your Own Fabric; Traditional & Digital Techniques; For Quilting, Home Dec & Apparel"
Posted on 2013-04-15, by lib01. If you have ever dreamed of showing your designs on fabric, textile aficionado Kim Kight, of popular blog True Up, is here to teach you how. Comprehensive and refreshingly straightforward, this impressive volume features two main parts. First, the Design and Color section explains the basics with step-by-step tutorials on creating repeating patterns both by hand and on the computer. Next, the Printing section guides you through transferring those designs on fabric-whether it's block printing, screen printing, digital printing or licensing to a fabric company-and how to determine the best method for you. No comments for "Kim Kight, "A Field Guide to Fabric Design: Design, Print & Sell Your Own Fabric; Traditional & Digital Techniques; For Quilting, Home Dec & Apparel"".